Fred Delcomyn is professor emeritus and Director emeritus of the School of Integrative Biology at the University of Illinois. He was a faculty member in the Department of Entomology from 1972 until his retirement in 2008, and Director of the School of Integrative Biology for the last eight years of his active service. During his scientific career he was elected a Fellow of the American Association for the Advancement of Science, selected as a Senior Fulbright Scholar, and listed in Who’s Who in America and other biographical publications. His publications include influential papers in Science and Nature as well as a successful textbook, Introduction to Neurobiology (1998). Since his retirement, he has written on a wide range of topics for the popular press. In 2017 he received honorable mention in the Excellence-in-Writing competition held by the International Society of Family History Writers and Editors. Among Delcomyn’s many service activities as a faculty member, he served on the Athletic Board, where he was chair of the Fiscal Management Committee. 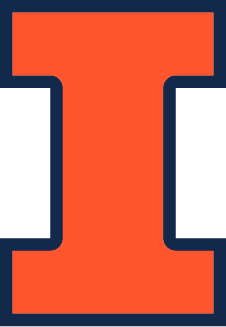 After a subsequent stint as chair of the Fiscal Integrity Subcommittee of the NCAA Certification Committee, he was appointed Faculty Athletics Representative, liaison for the University of Illinois to the Big Ten Conference and the NCAA, a position he held until 2001. After his retirement, Delcomyn became an avid photographer. His photographs have won awards in photo competitions and he has had several local exhibitions.